Author Joycinth Shaw’s newly released “Tianna’s Struggle” is the story of a teenage girl who will turn to God when her life collapses into utter chaos. “Tianna’s Struggle” from Christian Faith Publishing author Joycinth Shaw is the story of a thirteen-year-old girl named Tianna. Tianna is a popular girl in school, but her life is about to be turned upside down. “Tianna’s Struggle”: the tumultuous social life of a teenager girl whose secrets are about to be exposed. 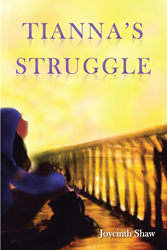 “Tianna’s Struggle” is the creation of published author, Joycinth Shaw. Joycinth is a seventh-grade New York public school teacher. She is a follower of Jesus Christ and wants to use her writing to win souls for him. She also hopes to inspire the youth to be dedicated in their walk and work for Christ. Ms. Shaw has been married to her husband, Clive, for thirty years. They have three children, Jaunel, Craig, and Justine. In her free time, she enjoys traveling and exploring the beauty of God’s creation. Published by Christian Faith Publishing, Joycinth Shaw’s new book details the struggles of a young teenage girl. Tianna is a popular thirteen-year-old middle school student who must make an important decision about her life. The people she once trusted are now her biggest enemies. When the skeletons in her closet are exposed, it is only God’s grace that can help her face her accusers. View a synopsis of “Tianna’s Struggle” on YouTube. Consumers can purchase “Tianna’s Struggle” at traditional brick & mortar bookstores, or online at Amazon.com, Apple iTunes store, or Barnes and Noble. For additional information or inquiries about “Tianna’s Struggle”, contact the Christian Faith Publishing media department at 866-554-0919.